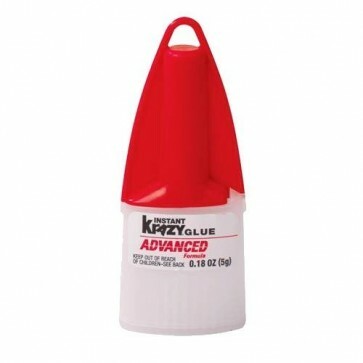 Brand New Instant Krazy Glue Precision Tip Provides an instant, extra-strong, durable and shock-resistant bond. Precision tip applicator with extended, no-clog tip and easy-open, easy-seal cap. Large size and sure-grip panel for easy handling. Sets in 2 minutes.